The Plovdiv Mediaeval Festival will be held on June 23 and 24 2018 at Mladezhkiya Hulm (“Youth Hill”) in Bulgaria’s second city, with 150 participants showing residents and guests “new and curious details about daily life in Europe during the Middle Ages”. 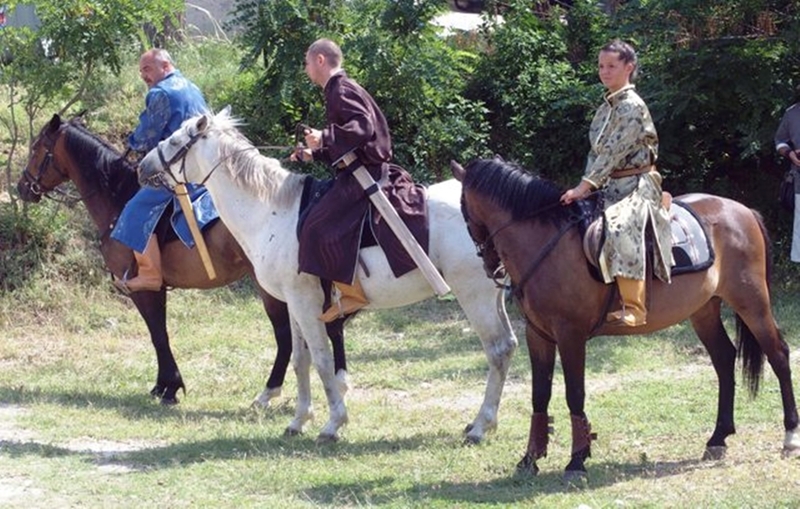 Among the attractions which the local and foreign re-enactors will offer to the festival guests will be an authentic military camp; martial demonstrations; mediaeval crafts and historically credible reconstructions of customs, fashion, and military equipment, the organisers said. Visitors will be able to taste food and drinks based on mediaeval recipes; shoot a mediaeval bow; play mediaeval games; be entertained by a mediaeval jester; as well as take part in some of the crafts demonstrated: bladesmithing, pottery, leather crafts, hauberk knitting, coins cutting, weaving and embroidery, jewelry making, books and letter writing, iconography, witchcraft. Other activities will be mediaeval poetry reading; a comprehensive presentation of European mediaeval fencing; popular stories about life of the ordinary people and the nobility; explanation of the subtleties of crafts and professions practiced in Plovdiv during mediaeval times. The practices of the pagan festival of Midsummer day will be demonstrated in the way it was celebrated in the Middle Ages. Festival guests will have the opportunity to see and hear an inspiring performance of the mediaeval music bands Ambient Folklore, Der Dudelgeist and Eriney, all of them playing in Plovdiv for the first time, the organisers said. The hours of the festival are from 10am to 10pm. The festival is organized by the Bulgarian Historical Heritage Foundation, which has 12 years of experience in this field, with the co-operation of Plovdiv Municipality and is part of the Calendar of Cultural Events of Plovdiv for 2018. A further festival will be held in 2019, when Plovdiv holds the European Capital of Culture title.